Several months ago I read that to be happy you must find meaning in all that you do and want to do it or stop doing it. This is most often applied to work and is a path to feeling as though your work is your “calling” instead of a job or career. And while I tried my hardest, it felt much harder to apply it to the day to day of parenting. There are things you have to do when parenting – tasks present themselves (sometimes on an hourly basis) that need to be addressed, you cannot prevent them from occurring or simply “stop” doing them. And in extreme cases, in extreme desperation, misery ensues from lack of control. Myself and son, 5 am. Dearest son, for the one and a half years you have blessed our lives you have also woke between 5-6 am the vast majority of days. And you are not a morning person. You wake up wailing and cranky and require sufficient cuddles before food or play or smiles. We’ve tried altering nap and food schedules but nothing impacts when our day starts, much to all of our dismay. In this extreme example, with seemingly nothing in our power to change, something had to give. And this is the moment you taught me a lesson, dear son. One morning I realized that this was the only time of day I spent with just you. In other moments your sisters dominate and you tag along. 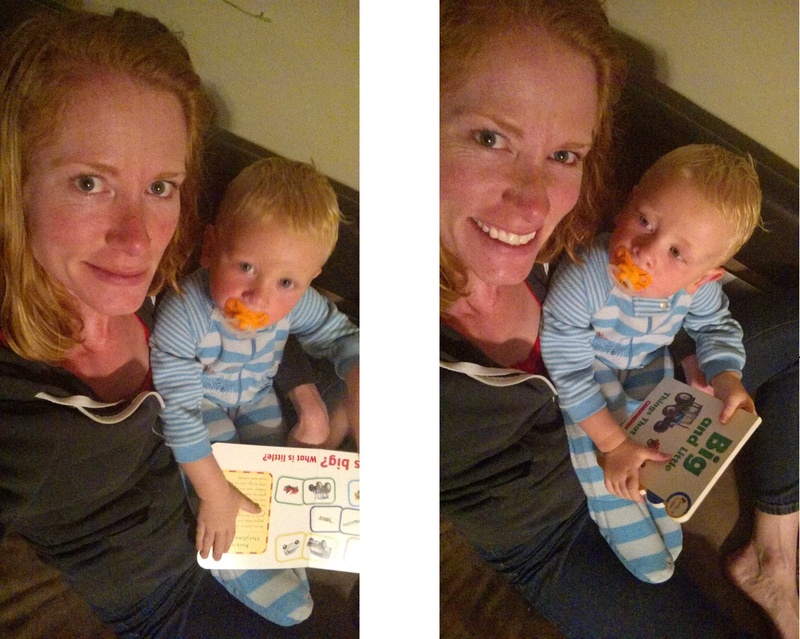 This is the time of day I am supposed to read with you, teach you sounds and words, cheer for you, and show you you are special. And in this light the value of this time is so great I am able to appreciate the time even in exhaustion. I can wake with you and help you start your day with feelings of love and success. Given this new perspective this time feels like a gift. I want to do this for you. This stage will pass, eventually, and it now feels precious. Because my perspective change was the key here I am appreciating this may be a part of the problem in other moments of parenting that feel hard. Thank you for waking me up, son. I’m ready to consider myself when evaluating the problem and solution.